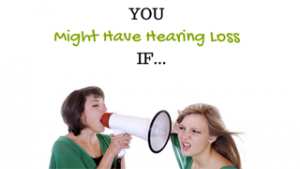 Besides the sensation of sound in the ears, tinnitus does not have any other symptoms. However, tinnitus can be a symptom of other underlying conditions. In 90% of tinnitus cases, tinnitus is a symptom of hearing loss, particulary noise-induced hearing loss. Prolonged exposure to loud noises can damage the structures of the inner ear and lead to tinnitus. If you experience tinnitus that syncs with your heart beat, you have pulsatile tinnitus. Pulsatile tinnitus may be a symptom of high blood pressure or circulatory problems.